The shopping carrier comes complete with a coverlid allowing an element of security along with some weather protection for carried items. The carrier can be fitted retrospectively to all but very early versions of the Uniscan Triumph. 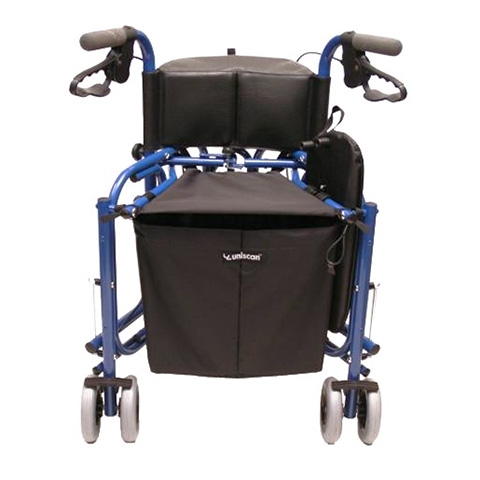 The carrier fits underneath the seat and follows the frame contour of the Triumph tri-walker in a trapezium shape. It folds neatly with the frame, without the need to remove it for storage.